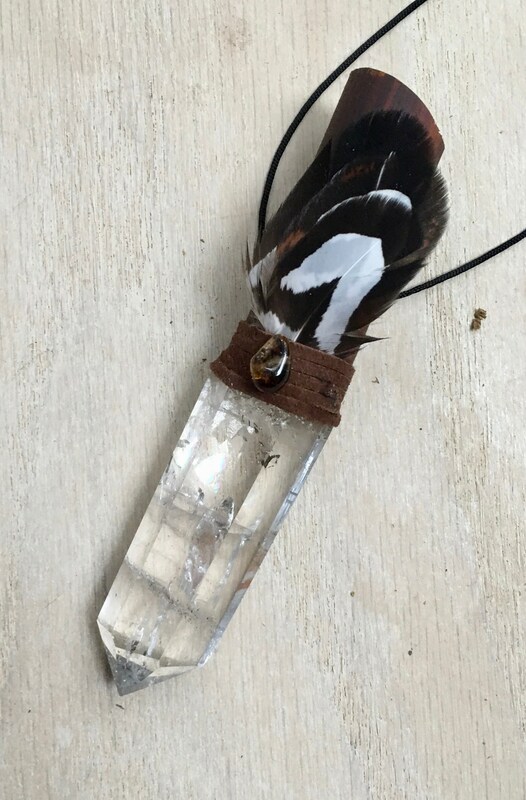 Flow - Assists with Bringing Balance to the Crown, Heart, Solar Plexus & Root Chakras; Soothes & Uplifts the Mental & Emotional Bodies; Fosters Healing, Meditation, Psychic Awareness & Spiritual Growth; Offers Protection & Grounding; Encourages Self-Confidence, Self-Love, Joy, Harmony, Creativity & Stamina. Cocobolo - Draws off the element of fire. Very connected to Mama Killa, the Moon, and her magic. Carries the energies of strength and stamina. Used for protection, stimulates creativity and enhances psychic senses. 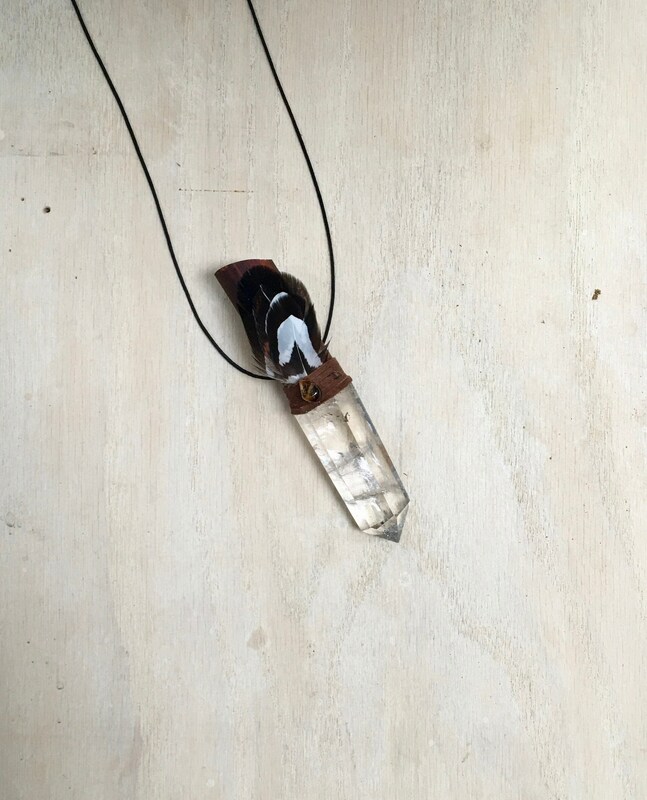 Quartz with Lithium Inclusion - gently alleviates your worries and whisks melancholy away. Excellent crystal to work with for cleansing and restoring balance to your Crown, Heart, and Base Chakras. 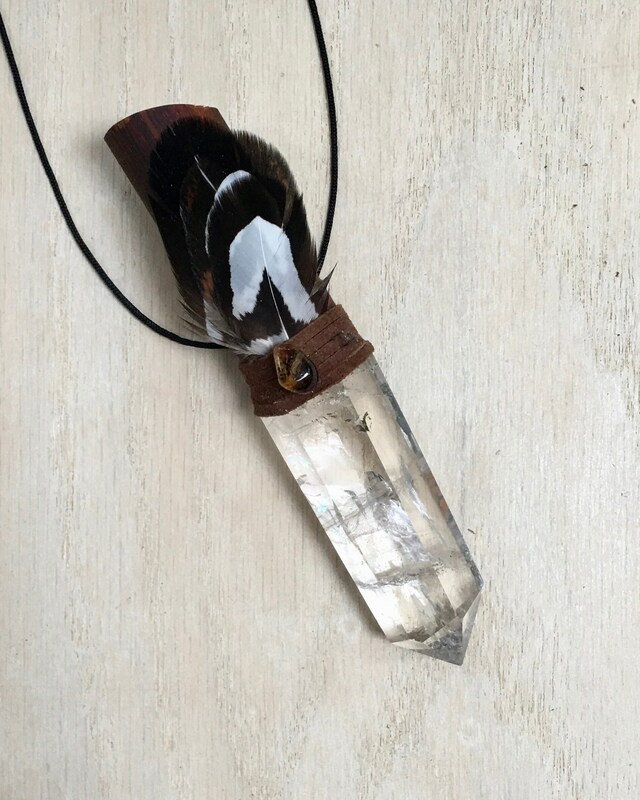 Use it to calm, nourish and uplift your mental and emotional bodies, facilitate meditation and clarify visions; gentle healers that move energy through body providing profound healing, emotional peace, release from tension and an awakening of your Higher Self. A very good mood stabilizer. A Heart Chakra stone so it assists with self-confidence, self-worth, romantic relationships, regeneration, self love and friendships. As you feel better about yourself you attract better things in to your life. Citrine – a joyful stone with bright energy, which lights up many aspects of lives of those who work with it. Energizing and highly creative; absorbs transmutes, dissipates and grounds negative energy therefore protective of the environment. Brings joy, harmony and optimism. a solar plexus chakra stone used metaphysically to increase, magnify and clarify personal power and energy. It is useful for meditation, psychic awareness, and spiritual development. 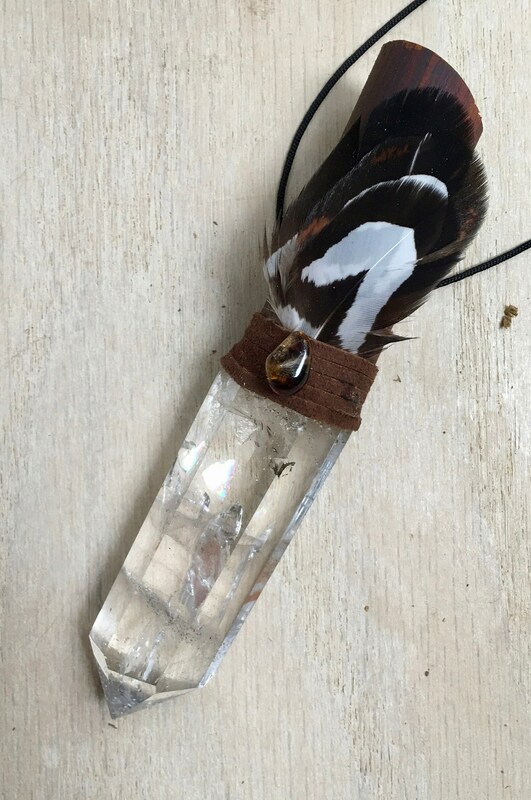 Pheasant Medicine - Feather – Carries the symbolism of creativity, individuality and protection when needed. Reminds us to enjoy the beauty in life. Pheasants resiliency reminds us to not give up. 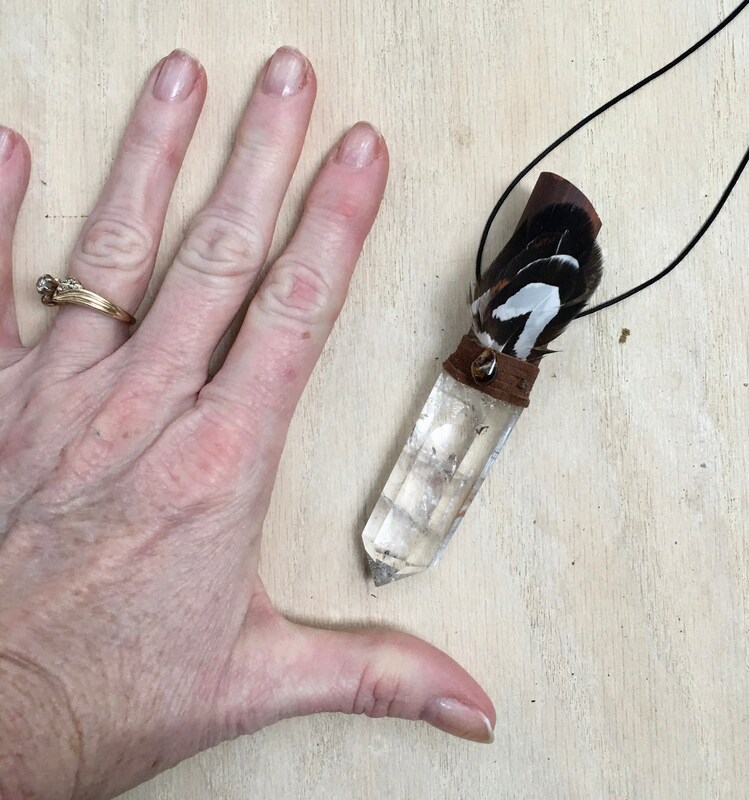 4 inches long; Quartz 2 inches.